Get under the hood of Polyphony Digital’s race simulator. The best cars and the most legendary courses, all at your fingertips. Welcome to the fast track world of GT Sport. Get behind the wheel of the latest and greatest road vehicles from around the world and original dream machines. Here is a closer look at four of the 174+ cars available to you. The spiritual successor to F40, F50 and the Enzo. Built around a carbon-fibre monocoque body borrowed from Ferrari’s Formula 1 cars. Features the company’s first hybrid drive system. Combines a gasoline engine with an electric motor, producing an incredible 963ps. Lapped the Ferrari’s Fiorano test track in 1 minute 19.9 seconds, beating the Enzo’s time by five seconds and the F12’s by 3.1 seconds. Introduced at the 2014 New York Auto Show. The Mazda Miata/MX-5 holds the world record for the highest-selling two seat compact sports car in history, at over 1 million units. Succeeded the SLS AMG in 2014 as the flagship sports model for Mercedes-Benz. Features a solid aluminium space frame, twin-turbocharged V8 engine, a suspension system with electronically-controlled variable shocks, and a drive select system with race mode. The high performance “S” version also has a more powerful 510-HP engine. A sixth generation car for Mustang. Sold in 120 countries worldwide. Equipped with 4-wheel independent suspension, replacing the old beam axle. The top-of-the-line GT model comes with a 5.0-litre V8 that pumps out 441ps, for excellent performance. The race cars featured in Gran Turismo Sport are classified into categories based on real-world motorsports and tweaked to provide equal conditions during competition. 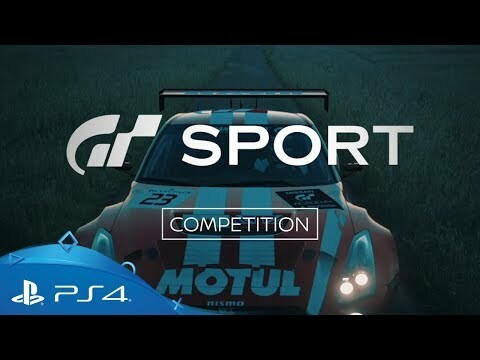 For example, this means that if you’ve always wanted to see GT3 versions of your favourite cars compete with others on the track, this is the place to be. Want to see the world’s premier auto makers, such as Bugatti, Peugeot and Volkswagen, design their own fantasy machines? We can go one better – Vision Gran Turismo not only lets you see these wondrous cars come to life, you can also race them in-game. 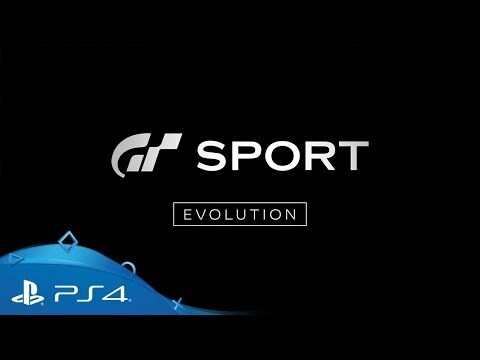 From commercial vehicles to concept and race cars – each of the automobiles in GT Sport can be divided into six categories. Stock condition vehicles including commercially sold automobiles and concept cars. This category is subdivided from the N100 to N1000 class, according to engine power. Race cars with basic modifications, including the addition of safety equipment and weight reduction. These are equivalent to the real world FIA GT4 Class cars. Race vehicles with full race modifications, including wider bodies and aerodynamics improvements. 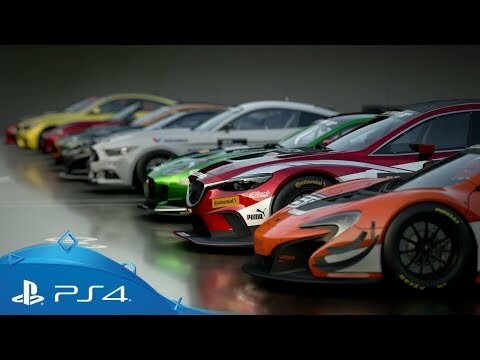 These are equivalent to the real world FIA GT3 Class. These are ultra-high performance racing vehicles with specially developed bodies and engines. This category includes real world prototype sportscars. These are extreme vehicles that do not fit in any existing race category. These are rally cars modified for driving on dirt, with reinforced suspension and higher ride heights. As an addition to the 2nd generation model of the Cayman type 981C engine, this high performance racer is powered by the 3.8L horizontally opposed six cylinder engine of the Porsche 911 Carrera S. Many parts, such as the front suspension and brake system, are also carried over from the 911 GT3. Toyota’s direct rival to the Porsche 919, this Prototype car boasts a hybrid powertrain combined with a turbocharged 2.4 litre direct injection V6 with a Motor Generator Unit (MGU). The TS050’s settings for its inclusion in GT Sport were chosen by Kamui Kobayashi, the driver who set the new course record at the real life Le Mans, using this car. Presented in 2017, the Lexus’ beautiful modern coupe features flowing lines emerging from its elegant front fascia. The powertrain consists of a five litre V8 engine producing 477ps, combined with a direct shift 10-speed automatic transmission – the first for any passenger car to date. This impressive machine was born from the ‘Vision Gran Turismo’ project, in which various automobile manufacturers around the world designed a sports car for the series. The monolithic shape, which only stands 1.04m above ground, creates a look that differs greatly from other sports cars, while this competition model is modified specifically for Gr. 3 category racing. Refusing to be defined by any existing race category, this new driving experience is a collaborative effort between the Honda Design Team and Gran Turismo. Fusing motorcycle and car, its power to weight ratio is an impressive 1ps:1.88kg, with an aluminium-carbon composite frame powered by the Honda RC213V-S motorcycle’s compact V4 engine. A variety of new additions join a selection of classics – take a look at six of the 17 locations featured in GT Sport. Appearing for the first time in Gran Turismo. Speed around approximately 900 metres of oval track. Jostle for space on banks set at a 31-degree angle and 16 metres wide. Formerly a Formula 1 stop, this UK-based track is now home to touring car races and the British F3 championship. Wind your way through a small forest and prepare yourself for extreme elevation changes. Stretched for time? Try the shorter Indy layout instead of the full GP course. Put your skills to the test on a course with a rich 60-year history, now playing home to numerous amateur contests and as a test track for race teams and car companies. Keep your nerve on this high-speed track where a small mistake can prove very costly. Made in the image of Tokyo’s Expressway. Weave through towering skyscrapers and race through tunnels. Experience elevation changes at high speed. Drift across the beauty of America’s Midwest, from the Rocky Mountains to the Mexican border. Go off-road and wind through cactus fields and desert shrubbery. Test your endurance along a gruelling 20km track, boasting numerous driving surfaces and extreme elevation changes – with the difference between its highest point to lowest measuring an astounding 300 metres. Experience one of the most accurate recreations of this world-renowned track, including the rich green vegetation of the Eifel region and the detailed asphalt grain of the road surface. 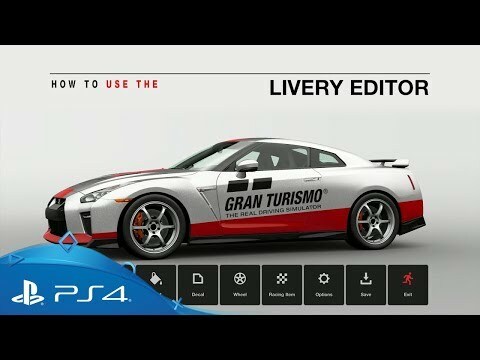 Give your vehicles a fresh lick of paint and a unique livery of your own making, thanks to the accessible and flexible livery editor. You can make your own, customise existing ones or even recreate the liveries of your favourite racecars – and then share your eye-popping designs with friends. With the flexibility to stage every GT car in over 1,000 different destinations around the world, Scapes are a photographer’s dream. Take control of your image with dynamic lighting, aperture and focal length settings. 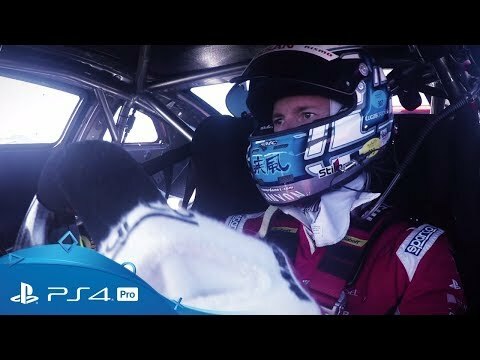 Go behind the racing with Nissan GT Sport Motul Team RJN, as they reveal their journey from playing the game to competing on the real life track. Discover how the drivers use GT Sport to prepare for their on-track racing at the series opener at Monza Circuit. Get the inside scoop on what GT Academy winner Lucas Ordóñez thinks about going from gamer to racer. Find out what drives the team in their pursuit to be the best, in both the real and virtual world. Explore the world famous Goodwood Festival of Speed with GT Academy winner Lucas Ordóñez. Go behind the racing with the Nissan GT Sport Motul Team RJN, as they compete in the Blancpain Endurance Series. Take a look at how the team prepares for the legendary – and gruelling – 24 Hours of Spa race. See how both real life and virtual motorsports have evolved into the phenomenon they are today. Hear how the drivers handle the intense pressure that comes with both real life and virtual racing. 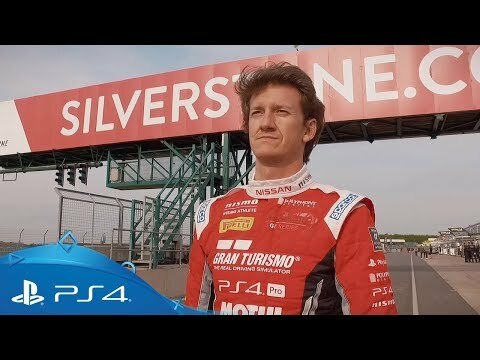 Check out three of the fastest Nissan GT Sport Cup drivers as they tackle the Silverstone Circuit. Join the Nissan GT Sport Cup drivers as they visit Polyphony Digital with Gran Turismo creator, Kazunori Yamauchi. Want to earn a real motorsport license? 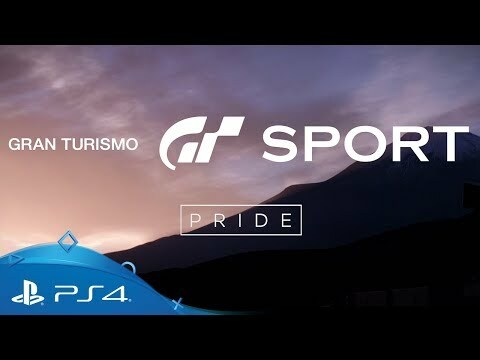 Complete various lessons in the Campaign Mode of GT Sport and reach the target level in Sport Mode and you’ll be eligible for the “FIA Gran Turismo Digital Licence” from your local ASN (national sports authority/automobile club). This will hold the same value as a real life license, so depending on the participating region’s conditions, fees and procedures, you may be put on track towards a career in motorsport.